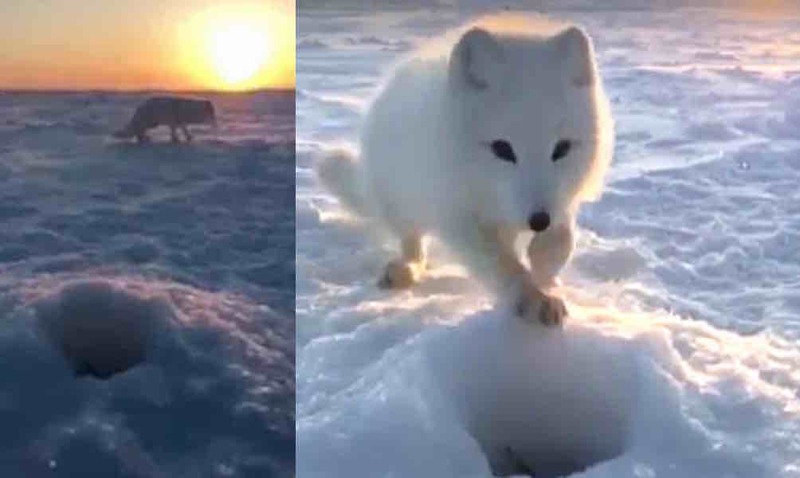 A persistent Arctic fox was recently treated to a hearty meal thanks to its unrelenting bravery – and his adorable little face, of course. Siberian fisherman Ildar Biktimirov was ice fishing earlier this month when the courageous little critter wandered up to his hole in an attempt to share in the man’s bounty. Biktimirov initially tries to ward off the fox by loudly telling it to leave his fish alone – yet still the fox continues to approach the fisherman. Finally, after several failed attempts to nab the goodies, the fox resorts to using its charm and good looks. It starts to paw at the ice around the fisherman’s hole, pausing every few seconds to glance at the man and see if it’s working. After several seconds of contemplative silence, the fisherman chuckles sympathetically and rewards the fox for its persistence. Biktimirov is so tickled by the fox’s winning personality, he continued sharing his catch with the sweet Arctic dweller. 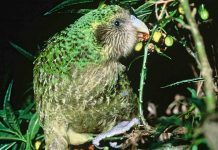 The critter “stuffs its cheeks like a hamster” before happily trotting off into the sunset with its mouth and tummy filled with fish.